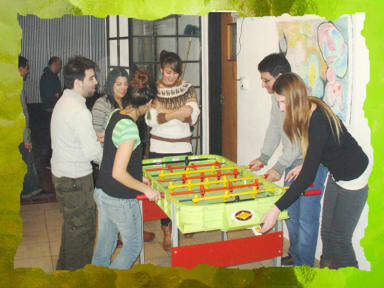 Llanura Hostel, Rosario, Argentyna : Rezerwuj teraz! 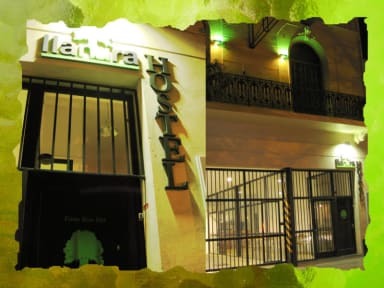 Come discover the best hostel, the best option to stay in the city of Rosario.El hostel is in an upper floor in the heart of the city, one block from Pellegrini Avenue, Urquiza park and close to 9, Boulevard Orono and Independence Park, near the pedestrian Cordoba Flag Park and river. In short, near parks, food, fun ... All! We are in a newly restored 100 years, which is always clean and has all the amenities you need when it comes to Rosario on his adventures around the world. With spacious rooms, high ceilings, large bright windows and hardwood floors. For the convenience of our guests, the service includes individual lockers, bed and breakfast rooms are equipped with heaters, ceiling fans and air conditioning. We also have parking on the ground floor of the hostel. It has a fully equipped kitchen with refrigerator, oven and stove, microwave and crockery, lounge with cable TV, DVD and VHS, free internet and WIFI permanent, terrace with barbecue, care and income 24 hours medical service emergency.